The Ox is a large family friendly country pub with its own farm that lies between Lewes and Eastbourne. We are open every day of the year except Christmas Day. We welcome dogs. For any further information, phone the Ox and ask for Jonny or Helen. Born and raised in Bristol Jonny first started working in bars and pubs in 2005. Whilst studying history at The University of Birmingham, Jonny took a job at a busy centrally located bar and restaurant; here he learnt the ins and outs of what it takes to be in the profession. After university Jonny returned to Bristol and worked in a popular pub in Clifton Village. In 2012 Jonny, along with a business associate and friend, re-opened a pub in the Bedminster area of Bristol. Because of the reputation and general poor state of the pub there was a lot of work to be done, but Jonny turned it into a successful, vibrant and friendly place known for its diverse range of drinks and excellent selection of real ales. The pub was named Bristol’s ‘pub of the week’ only one month after opening and a year later was voted Bristol’s best pub in 2013. Jonny came to the Sussex Ox in April 2014 as co-director and manager, after his uncle and aunt, Stephen and Fizz Carr, approached him with the proposal for buying the pub. Stephen’s maternal grandfather was once the manager of the pub himself! Jonny remembers walking over to The Sussex Ox from his family’s farm in Jevington on one of many treasured visits as a young boy, oblivious to the fact that 20 or so years later he would be the landlord of that very pub! Helen has been working at the Sussex Ox since 2012. She originally trained as a Primary School Teacher at the University of Brighton and taught in Tunbridge Wells for 7 years. She decided to take a break from teaching and ended up behind a bar! Helen originally started as a Front of House Assistant and quickly became part of the Sussex Ox family. When Jonny took over as the Manager, he decided he needed an Assistant and someone to boss him around. Helen was perfect for this job! 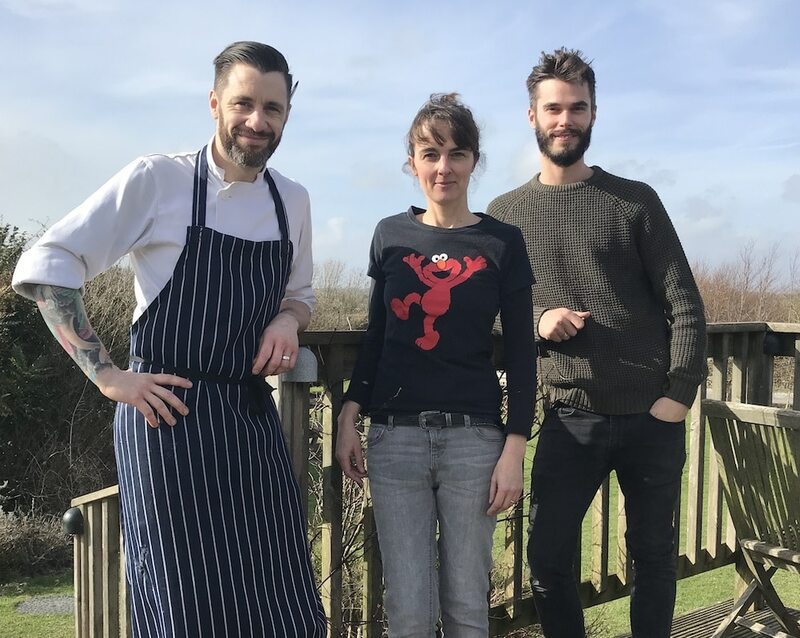 Helen and Jonny have quickly become a Dream Team with the support of the fantastic front of house and kitchen staff. She loves the atmosphere of the pub, the strong community feel and talking to the locals. She thrives on being surrounded by her colleagues and loves every aspect of her job. Helen met her husband Marcus in the Ox. He had been a customer for many years and they found each other over a pint! They married in October 2014 and had their wedding reception in the pub (obviously). There are even pictures of Helen pulling a pint whilst wearing a wedding dress! Helen and Marcus live above the pub with their two mad Golden Retrievers.